One piece clip in Volumizer, with four clips attached. 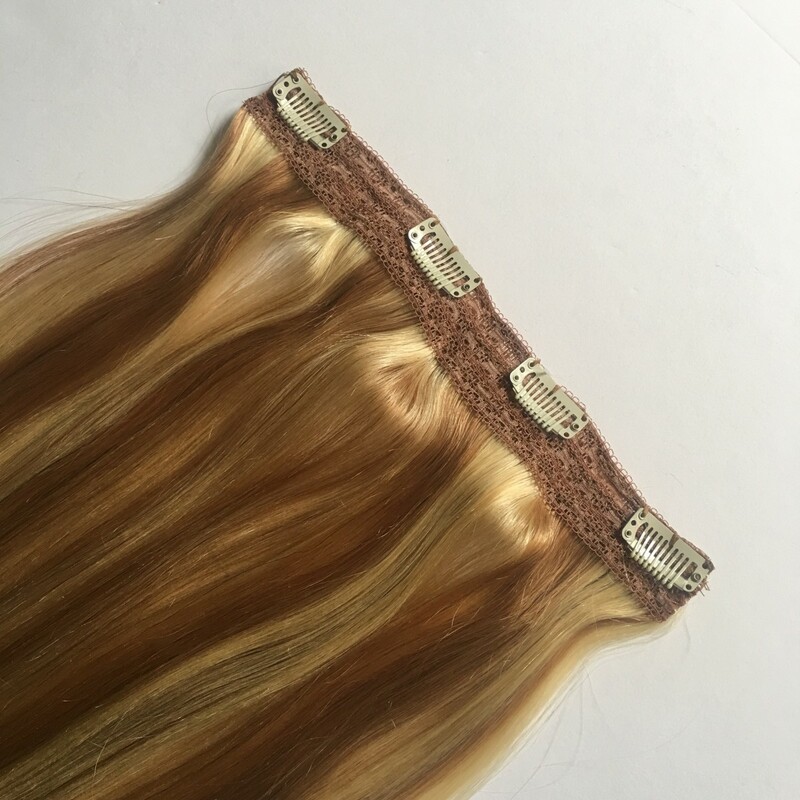 Add some thickness to your hair with our one piece clip in Volumizer weft. 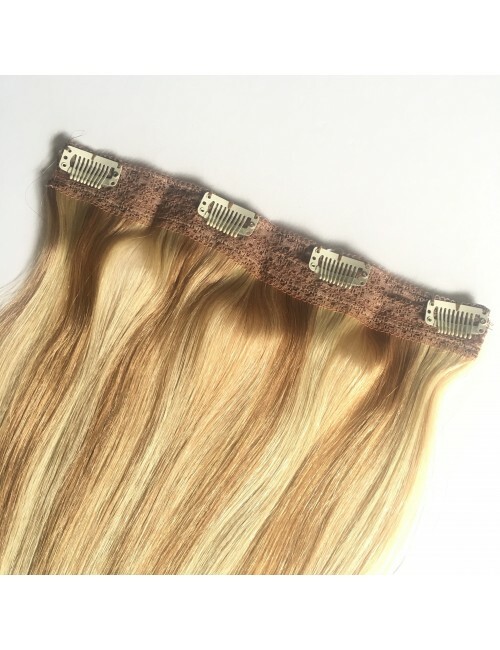 Each weft piece is 20" (50cm) in length, 9" wide and approx 50grams in weight Perfect for adding volume to thin hair, or adding even more thickness to your existing clip in set. So simple to apply with just one piece. 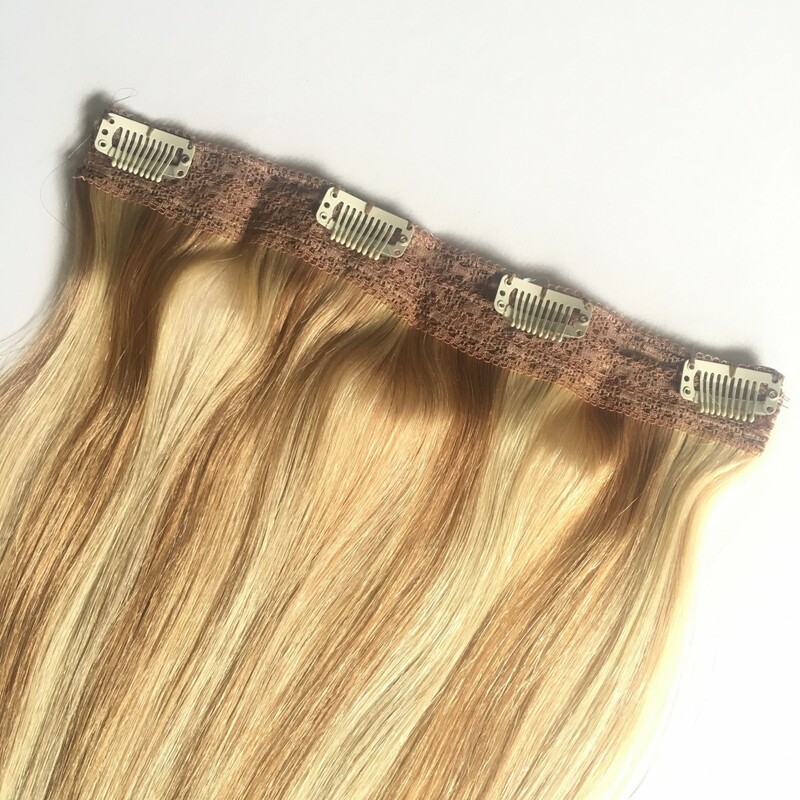 Simply open the clips and snap in to your hair for instant added volume.